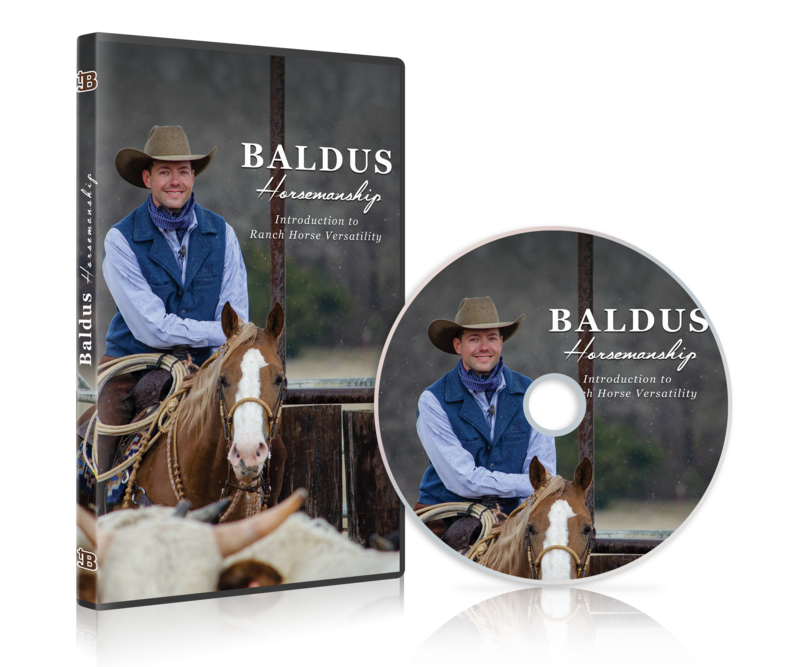 Join multiple AQHA, NRCHA and RHAA world champion trainer and carded judge Ben Baldus to explore the Versatility Ranch Horse events and understand how to compete in this increasingly popular western discipline. Ben’s clear coaching style will have you and your horse confident in trying new challenges and understanding the nuances of the various versatility events of Ranch Riding, Trail, Reining, Cutting, Cow Work/Boxing and Ranch Conformation. Ben discusses the various Versatility Ranch Horse events and associations, and what judges look for overall in a winning VRH competitor. Overview of the ranch riding class and some of the patterns. How to warm up, what judges want to see in the different gaits, body control, transitions, and lead changes. What common obstacles a VRH trail class might include and how to maximize scores, properly train for, and navigate bridges, gates, logs, side pass, log drag and more. Discussion of the reining maneuvers and how to problem solve and improve your spins, stops, run downs, lead changes, and circles. How to introduce your horse to a herd of cattle, how to properly get a cow out of the herd, positioning, and watching the cow during the cutting. How to correctly quit a cow for maximum score. Introduction to boxing and fence work including how to set up the fence run, when to go, positioning, and how to know your cow is ready. How to showcase your horse in the best light for ranch conformation.